I discovered this little cafe in Section 17 called Food Foundry after reading an article at the News Straits Times about their Mille Crepe. The mention of Mille Crepe had me really excited as I have been following Jason Mumbles' Mille Crepe posts but since the shop is all the way in Melaka, there was no way I could have tasted it. Finally after begging for a slice, we managed to taste a slice and I can understand the fuss about it as it's really nice for it's light and fluffy texture. No wonder it's so difficult to get a slice of this cake at the cafe and you need to order a few days in advance for the whole cake. I have the recipe in one of my numerous cookbooks and I can imagine how back breaking it must be to make each perfect crepe. I guess if you have a great crepe pan like the one from Le Creuset it's probably a breeze. The cafe is tucked in a corner and is directly at the other end from 6 to 10 grill at Happy Mansion. Besides the Mille Crepe, they also serve other desserts like cupcakes and cheese brownies. What's good about this place is their prices are substantially cheaper than the other cafes in town. They also offer student discounts (15%) and senior citizen discounts (10%) since the area is populated by a lot of University Malaya students. The menu is a mix of tapas items which you can eat with pita bread, sandwiches, pastas and local dishes. They also have a lunch promotion where you can order any local dish, sandwich or pasta which comes with a free Nestea drink. 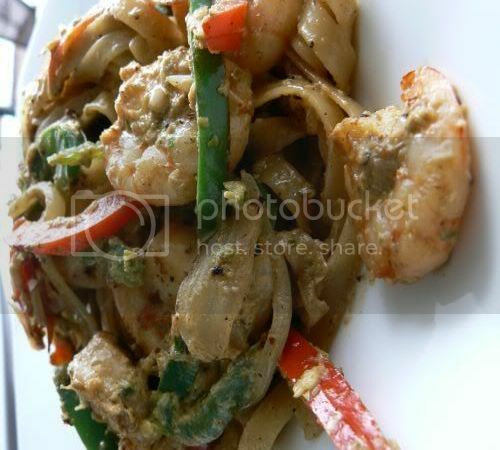 We have tried a variety of their pastas and their spicy eggplant tapas and felt the food was just average tasting. Their eggplant tapas was delicious but it felt more like a chinese eggplant dish that we eat at home rather than a spanish tapas dish. Since there was a group of us eating, we had a variety of pastas: the green curry prawn pasta (RM12.90) was nice and spicy. The only thing I didn't like was it's appearance as the green curry sauce appeared to have curdled a bit in the cooking process. Their beef spaghetti aglio olio sounded like a great idea but then it tasted like fried spaghetti with chilli flakes and the beef slices were tough. 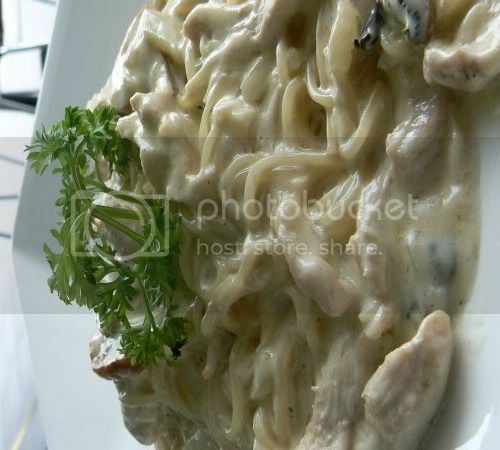 Splashie Boy's alfredo pasta(RM11.90) looked like a nightmare with all that cream but it tasted pretty good despite it's appearance. Overall, I felt the cooked food items at the cafe were kinda forgettable but their Mille Crepe is definitely something that one should try as that was exceptional. 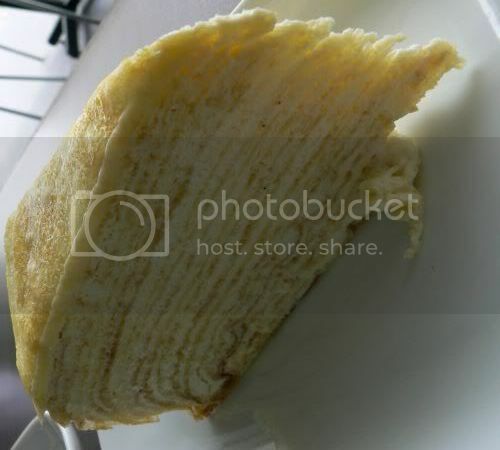 i read about this in nst too and i tried to count the layers in yr pic hahaha about 21 layers of crepes!!! i wonder when can i get to go there for their Mille Crepe??? by da way, where's this Happy Mansion? was there on sunday after reading the post from honeystar! I recommend the lamb meatball tapas!! really nice!!! if u like ikea meatballs then u'll love it. however the nasi lemak rendang was mehhh...not good...n not bad either.. It's sad though - the prices are affordable but some stuff on the menu is not nice. 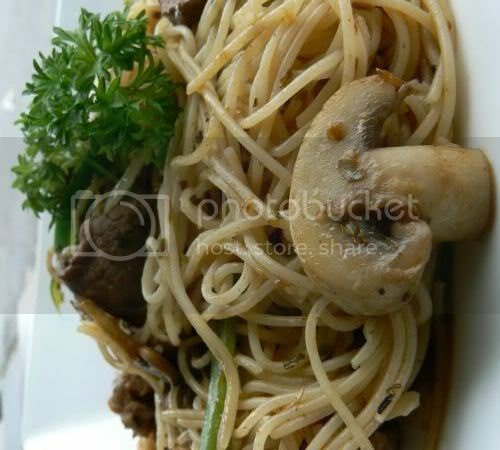 Dunno about the taste, but the photo of the oglio with that mushroom right in front looks good! I will try the cake myself when I am in KL this coming October. Can't wait. That whole MEAL looks lovely. Your blog has caused me to start a little list of restaurants I must eat at when next in KL on business. In fact, I may have to plan a KL Glutton vacation. Mei Yen - Happy Mansion is the flats at Section 17. Follow the 6 to 10 grill link which has KY's map. citygal - I guess you just have to ask kampung boy to order you one. Think you need to give them a few days advance notice. fashionasia - aiks! the western is better than the asian but I didn't like the western food though! domesticgoddess - can I get a slice Fed-ex to me pls??? J - taste of food is not great but yeah it's cheap. Mille Crepe is the only yum thing based on my opinion. jason - pls ask nadeje's to open a branch in KL. Sure will have lots of business as we will support it. Thxs for the offer - will remember that when I visit Melaka. breadchick - do a tour in KL! 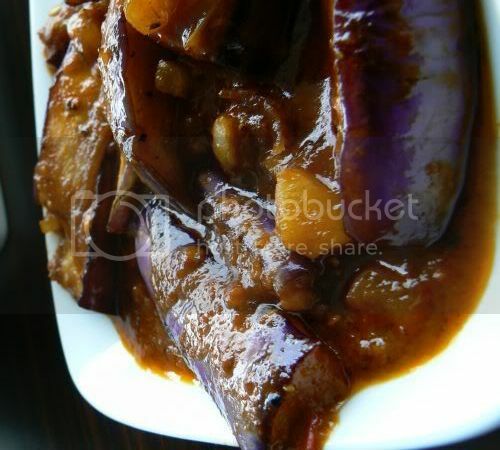 Definitely will wow yr tastebuds esp the street food. Please know how jealous I am that you got to have a slice Mille Crepe. There are only a few cities in the USA with bakers who will attempt to make and serve Mille Crepe. I have never had a taste of one. I look forward to the one taste one day! Until then, I will enjoy your photo! ooh, i also read about this place in the papers awhile back. the food looks good huh!!! cant wait to try the crepe cake. i gather that's available on a per slice basis? are they one of those establishments that dont allow takeaways? Well, I must agree that Food Foundry's food was forgettable. After 3 attempts trying to get a slice of Mille Crepe, I was ready to give up. How can it be out of stock? And sitting in the display were whole cakes and slices of crepes reserved. But my boyfriend insisted we try again and so one day we managed to get a slice. It was rather disappointing, though. I have tried Nadeje in Malacca and theirs is fluffy and fresh and somewhat melted in my mouth. Being a coffee lover and discovering they served Illy (before it was just instant coffee), I was excited to have a cuppa, but again I was disappointed. Their latte tasted unlike Illy and the foam on the coffee was out of shape and horrible. Btw, I don't like froth so much. However, the nasi lemak I had was pretty good, I must say. lannae - think Mille Crepe could be the latest craze for us. Hopefully more places start to make it. fatboybakes - the problem is trying to get a slice. Must beg and be early to get a taste. If not, you will need to buy the whole cake. blehm - I think everyone comes for the Mille Crepe! I went twice before I got a slice and that was after begging very sweetly. I could see people drive up to pick up their whole cakes! Sadly, Nadeje's is too far for me! They should open a branch and I will definitely flock there. I did ask the boss why he didn't start his business in KL in the first place. He answered, "I am a Malaccan, and there's no better place to start my first business except Malacca. Besides, I want to concentrate here first, ensuring the quality of the food and the cake. I also want to train my trainees until they can make the cake up to the standard I set for myself and them, then only I will consider of opening a branch in KL. After all, I started this shop with an objective to cook good food, profit is secondary objective." I might be going KL next Wednesday (20th September) or next month, I can bring up 1 whole cake for you. We can meet at a place and you can come and collect. The price is RM50 for 1kg. KL's is selling RM70 for 1kg, right? I can bring you slices if you want to, RM7 per slice. I am taking orders for my friends in KL and I will be the delivery man. Ha! Thxs Jason, I may take you up on that offer but probably next month as this week I am super busy so I don't think I can meet up. the crepe is really good, but i agree, the food is just aye okay. i stay in section 17 and i would like to place an order. Another place that sells Mille Crepe is Kafe Indulge at Kuchai Business park.